This is a nice change to a meal. 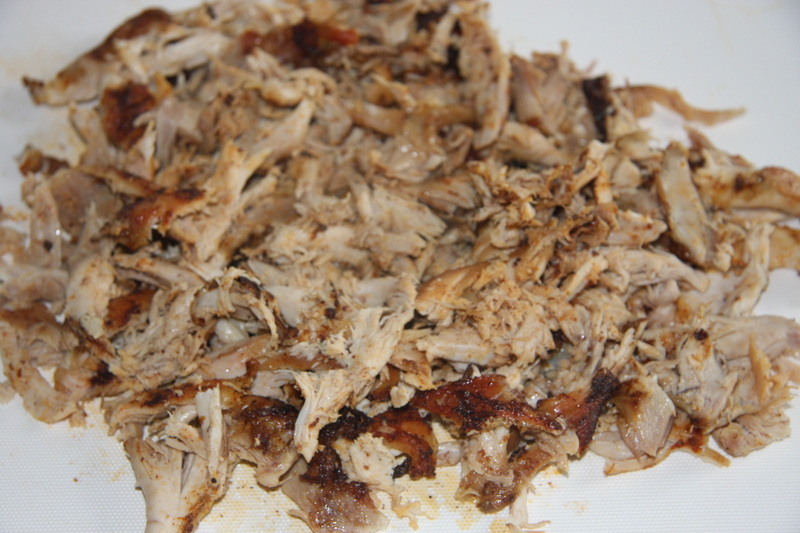 A pan full of these always pleases a large or small crowd, either as a snack or as a meal. So easy to put together and so quick to bake. Great for surprise guests. When I made these they were an accompaniment to some chilli. I thought it was nice change instead of a salad and buns. Everyone loved them. Give these a try and I’m sure they will disappear quickly. 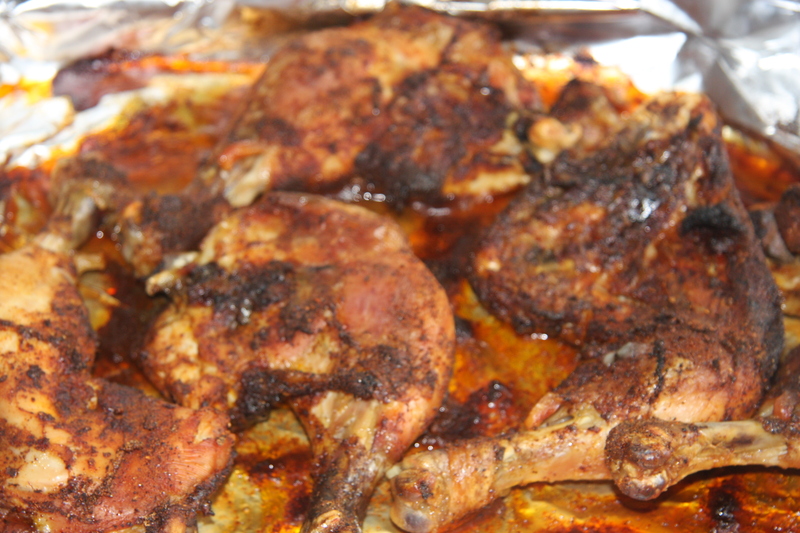 Coat chicken with 1 teaspoon of cumin, chilli powder, cayenne pepper and your favorite hot sauce. Work it in really well and leave to marinade for 2 hours in a foil lined pan. Bake in a 350 oven for 45 minutes to an hour. Finely chop 1 tomato, orange pepper, few green onions and shred to start 2 cups of cheddar cheese. Into a baking pan start by covering the pan with the taco chips to fully cover the bottom of the pan. Then sprinkle on as much cheese as you would like. Followed by the half the tomatoes, peppers, green onions and shredded chicken. Add another layer of taco chips, cheddar cheese, shredded chicken and veggies. Always making sure that the cheese layer is on top of the taco chips, if you are going to add another layer. The final layer may have the cheese sprinkled on top. This way will ensure that they easily come apart easily. Bake in 350 degree oven until all cheese has melted. This is really scrumptious. I do one extra thing. I serve hot sauce with this on the side. Then each person can have as much as they can tolerate or none at all. I find that the hot sauce just puts it over the top. Another layer of flavor. 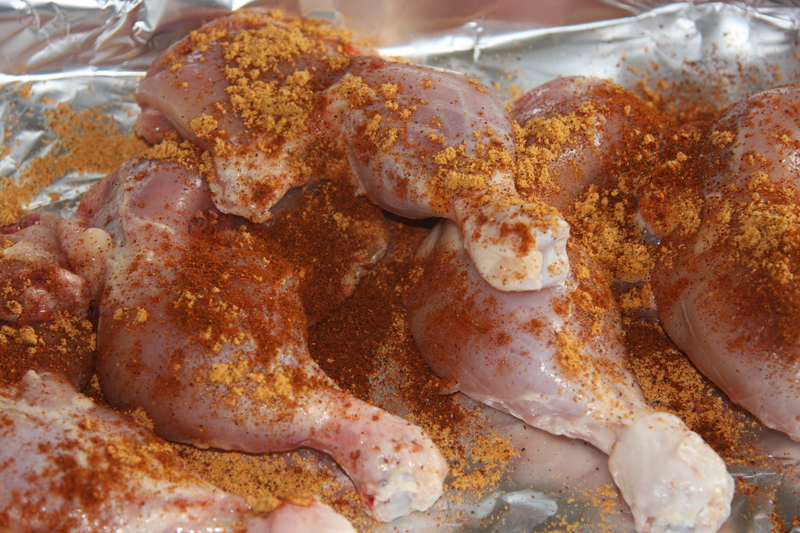 Sprinkle unbaked chicken with cumin, cayenne pepper and chilli powder. Bake in oven for 45-60 minutes. Cool and shred. 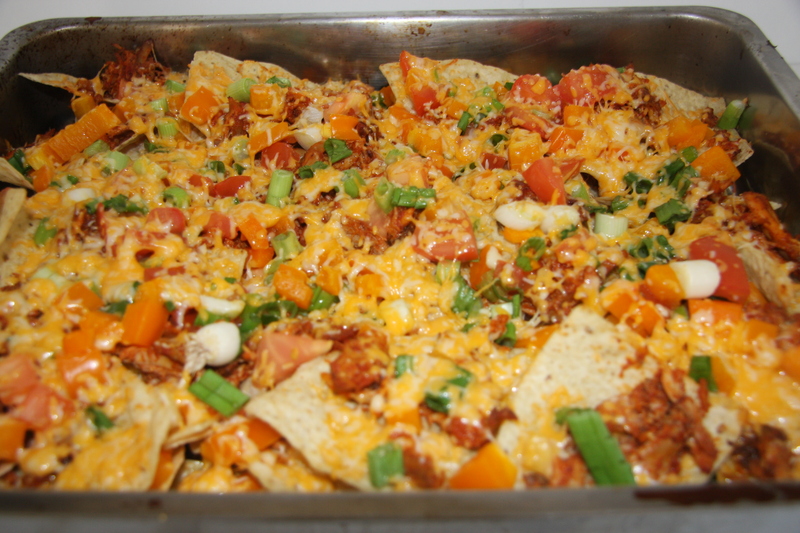 In a baking pan cover the bottom with taco chips. Proceed to layer with cheese, chicken and veggies. 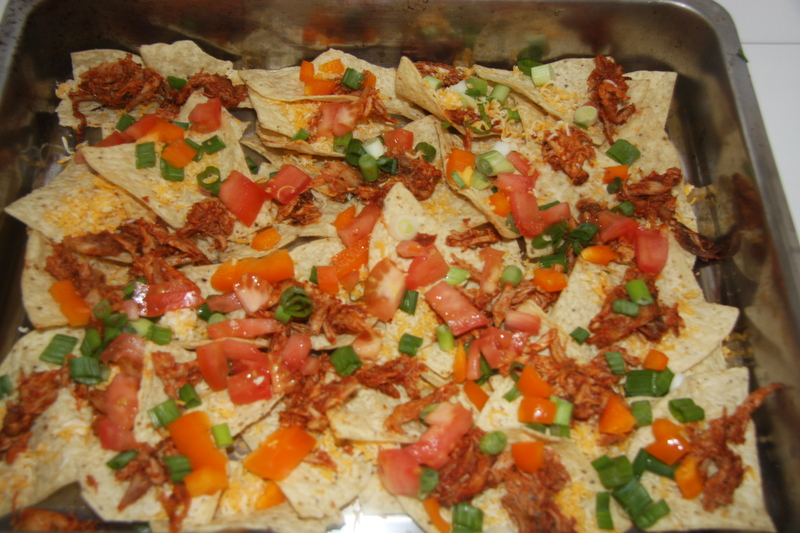 Another layer of taco chips, cheese, chicken and veggies. This step may be repeated as often as you like. Followed by adding cheese on the top of the final top layer. This method will ensure that the layers won’t stick together completely when each person removes them. Bake in a 350 degree oven until all the cheese has melted. Serve immediately.